United States Environmental Protection Agency. Reproduced by permission. ©Joel W. Rogers/Corbis. Reproduced by permission. American rivers and streams were open sewers, choking on everything from human waste to highly toxic industrial discharges. New York City alone pumped a half billion gallons of raw sewage into its harbor every day. As pollution levels grew, so did the impacts. "No swimming" signs became the norm. Lake Erie was dying. The Hudson River's commercial striped bass fishery, once valued at $40 million a year, was closed and it became illegal to sell oysters from Oyster Bay, Long Island. And then, in June 1969, Ohio's Cuyahoga River caught fire. 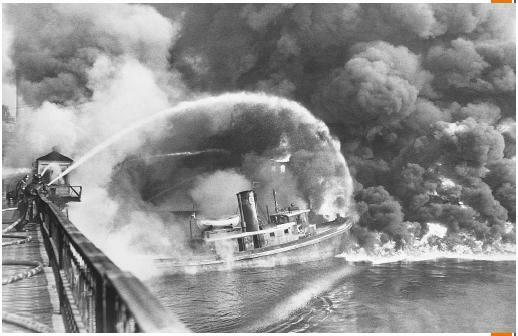 The damning image of a river in flames is credited by many for passage of the Federal Water Pollution Control Act of 1972. The U.S. Environmental Protection Agency (EPA) set standards to regulate the discharge of industrial and municipal waste—so-called end-of-the-pipe pollution. With them came significant federal funding to help localities improve wastewater treatment. Billions of dollars have been invested since 1972 building and upgrading sewage treatment facilities. 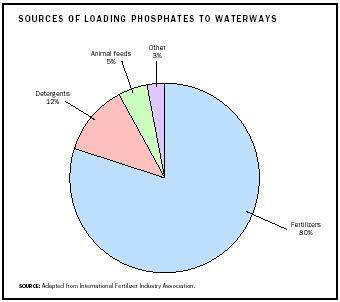 Sources of loading phosphates to waterways. been a major source of surface water pollution. More than 150 pathogens found in livestock manure pose risks to humans. In 2003, concentrated animal feeding operation guidelines, or CAFO standards, were finalized requiring inspection of waste lagoons and outdoor manure tanks, as well as permits for applying manure on land. from birth control pills, is being investigated to determine whether it poses a threat to humans, aquatic species, or wildlife. Water Quality Act amendments of 1987 established a $400-million program to help states to develop and implement nonpoint source management programs based on watershed protection. SEE ALSO : A CID R AIN ; A GRICULTURE ; C LEAN W ATER A CT ; C RYPTOSPORIDIOSIS ; DDT (D ICHLORODIPHENYL TRICHLOROETHANE) ; H EALTH, H UMAN ; N ONPOINT S OURCE P OLLUTION ; PCBs (P OLYCHLORINATED B IPHENYLS) ; P OINT S OURCE ; S NOW, J OHN ; W ASTEWATER T REATMENT ; W ATER T REATMENT . Natural Resources Defense Council. "What's on Tap: Grading Water in 19 U.S. Cities." Available from http://www.nrdc.org/water/drinking/uscities/contents.asp . U.S. Environmental Protection Agency. Browse EPA Topics. Available from http://www.epa.gov/ebtpages/alphabet.html . U.S. Environmental Protection Agency. Clean Water Act. Available from http://www.epa.gov/r5water/cwa.htm . U.S. Environmental Protection Agency. Concentrated Animal Feeding Operation Final Rule. Available from http://cfpub.epa.gov/npdes/afo/cafofinalrule.cfm . U.S. Environmental Protection Agency. List of Drinking Water Contaminants and their MCLs. Available from http://www.epa.gov/safewater/mcl.html#mcls . U.S. Environmental Protection Agency. 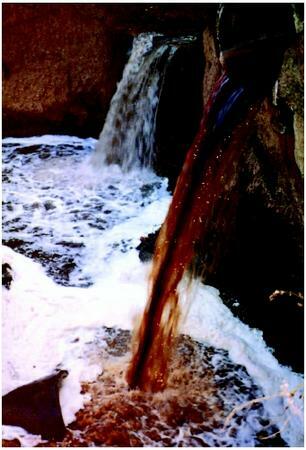 Polluted Runoff (Nonpoint Source Pollution). Available from http://www.epa.gov/OWOW/NPS/facts/point1.htm . U.S. Environmental Protection Agency. Proposed Groundwater Rule. Available from http://www.epa.gov/OGWDW/gwr.html . U.S. Environmental Protection Agency. Safe Drinking Water Act. Available from http://www.epa.gov/safewater/sdwa/sdwa.html . U.S. Environmental Protection Agency. 2000 National Water Quality Inventory. 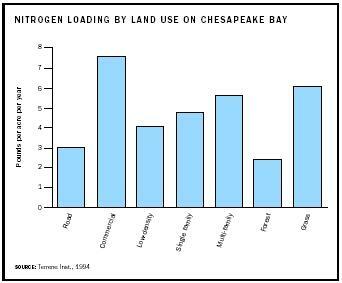 Available from http://www.epa.gov/305b/2000report . 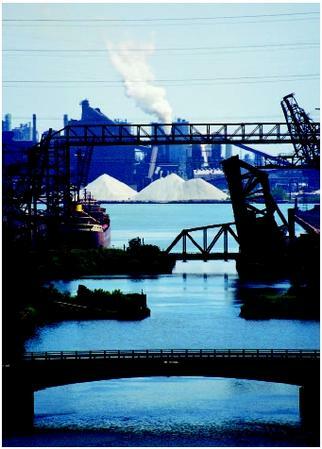 U.S. Environmental Protection Agency's Water Science Great Lakes Initiative Topic. Available from http://www.epa.gov/ost/GLI/mixingzones/finalfact.html . U.S. Environmental Protection Agency. Fish Advisories. Available from http://www.epa.gov/waterscience/fish . U.S. Geological Survey National Water Quality Assessment Program. Available from http://water.usgs.gov/nawqa . In India it is through irrigation and rains pesticides and insecticides like DDT which banned in several countries, I feel systemic poisoning is one of the dangerous phenomenon occurs. Being ichthyologist,I feel it is a form of slow poisoning from which global society should be protected, for we can wash eatables like fruits of plant, vegetables and marine products like fish prawns etc. to get rid of external dirt, however it is difficult to remove systemic poisons once it is settled in living system. We know minamata diease of Japan infeting thousands of Japaneese and therefore more research is needed in this field to minimise systemic poisons. Suitable bioagents for biological eradication and use of natural fertilizers for agriculture purpose is the need of the hour. So also global awarness especially in developing countries is to be caried out by communicating it scientificially in a language which is easily understand by the common man. Being Indian I am very much concern about it.